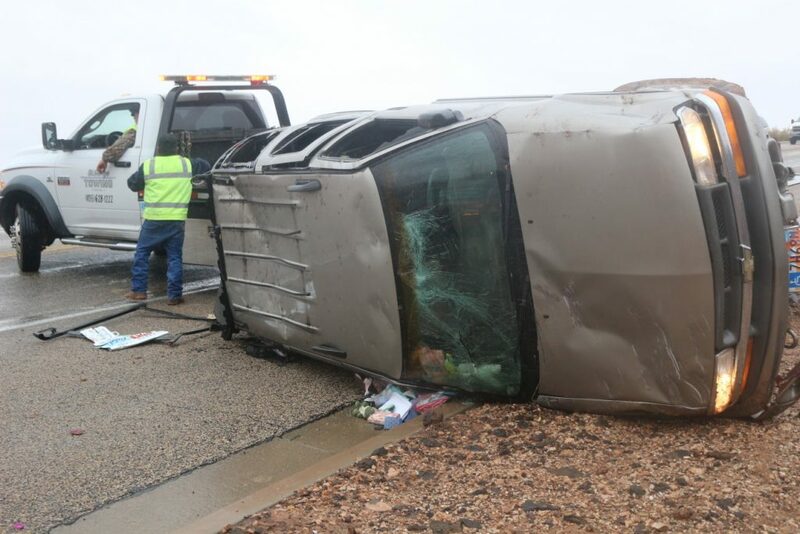 ST. GEORGE — Wet road conditions are being blamed for a vehicle rollover Tuesday on Foremaster Drive. 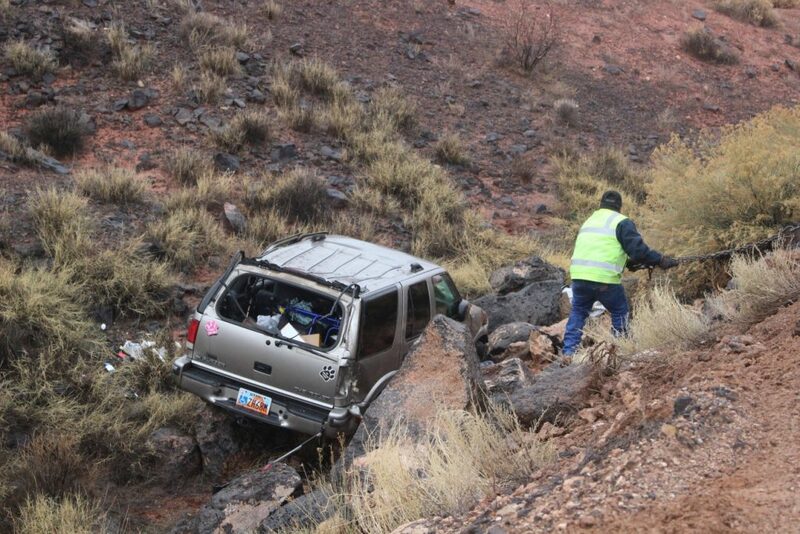 The rollover was reported to the St. George Police Department and other first responders at 2:36 p.m. 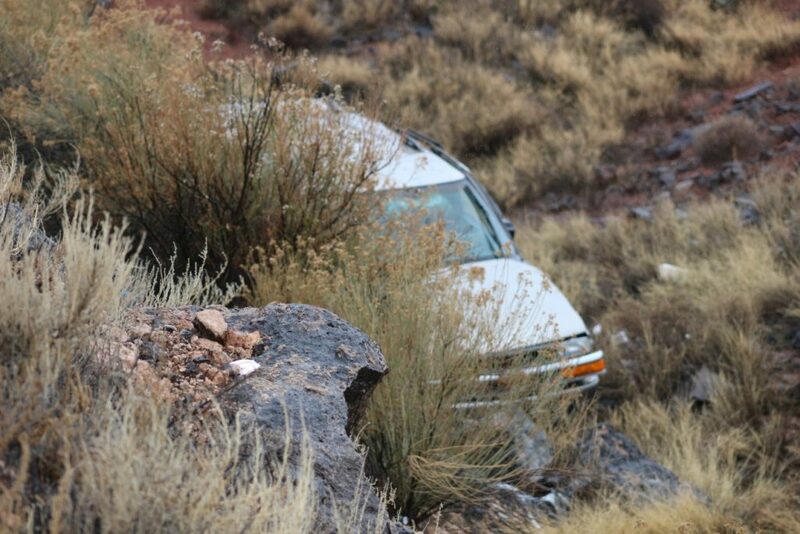 When they arrived at the scene they found an SUV that had run off the road and rolled partway down a hillside. 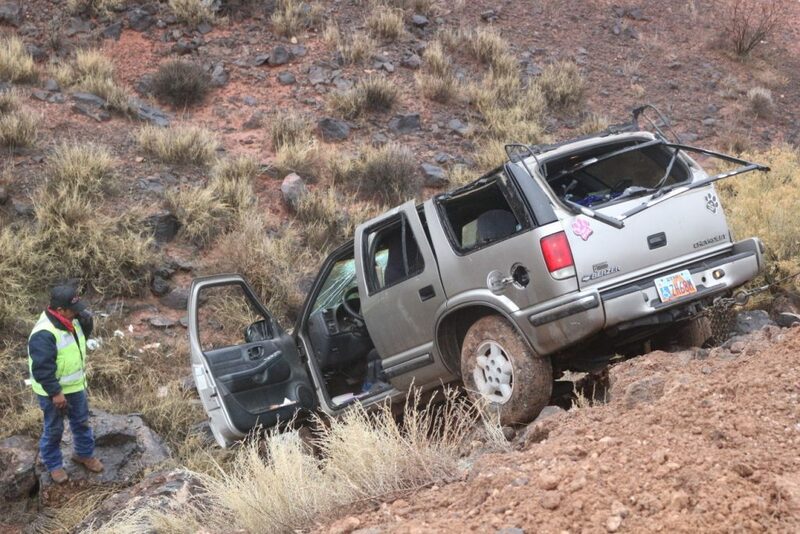 The driver was moving up the hill from Riverside Drive when her SUV lost traction, hit the dirt on the shoulder and rolled once down the hill before coming to rest on its tires, St. George Police officer Tiffany Atkin said. 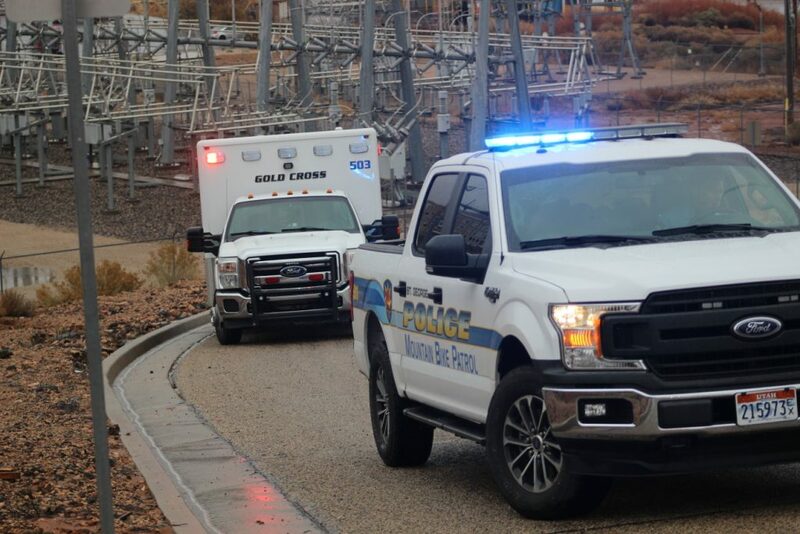 The woman did not experience any major injuries in the crash and planned to take herself to the hospital for any medical follow-up, Atkin said. 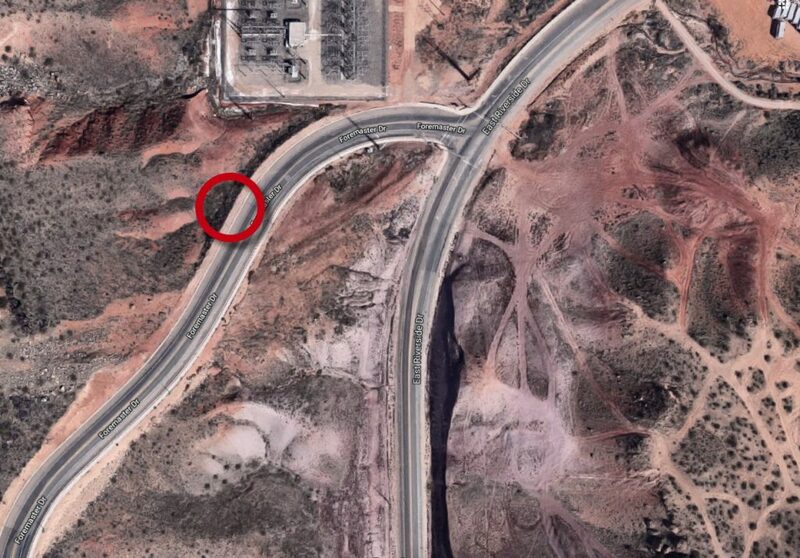 The driver was still at the scene of the crash at the time and said she had a headache and a slight injury to a finger. 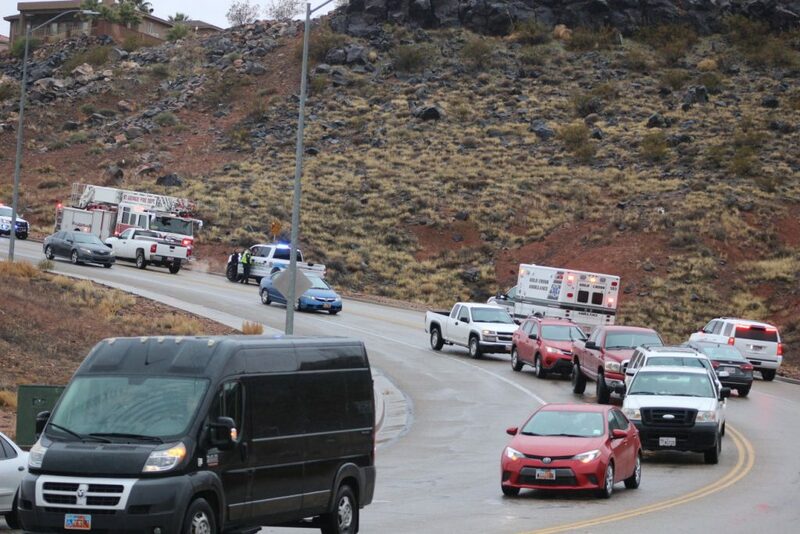 “Rain and weather had something to do with the reason she went off the road,” Atkin said, adding that other weather-related crashed had occurred across the city throughout the day. Drivers need to exercise patience while on slick roads and also make sure to maintain a safe distance between other vehicles, Atkin said. No citations were issued as the police were also considering other possible factors that may have contributed to the crash. 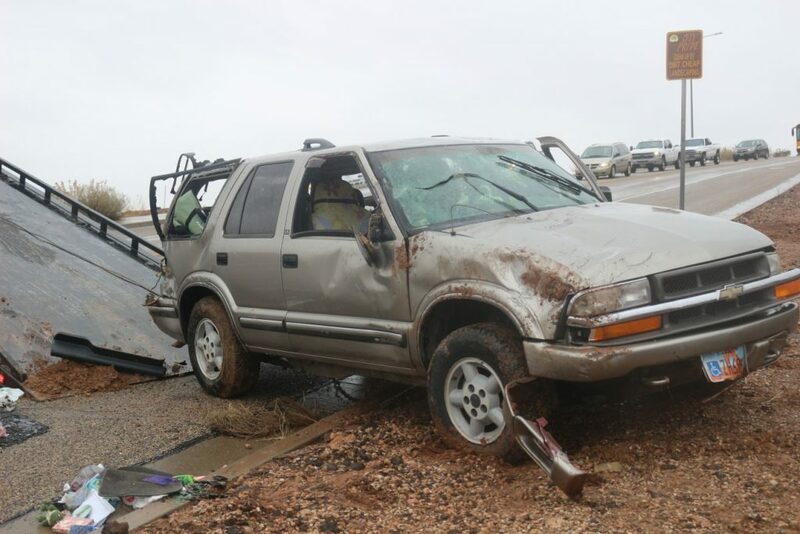 “Rain and weather had something to do with the reason she went off the road,” Atkin said, adding that other weather-related crashed had occurred across the city throughout the day.” How about unsafe speed for conditions? OK owning a “Blazer” is now officially off my wish list. I don’t think they have AWD unless locked in. (Not that AWD is an excuse for speeding in the rain on the curves) So, they are just like a regular car or minivan most of the time. Best stay home in the rain if you are sporting a handicapped sticker as well. Will steer clear of you! Good thing they didn’t pull a head on crash on some unsuspecting mall-goer. My guess: careless, distracted, or aggressive driving. Let’s not blame the rain. It’s good that the driver learned their lesson this way and didn’t have to take the life of another person.